Is anyone ready to start their Black Friday shopping list? 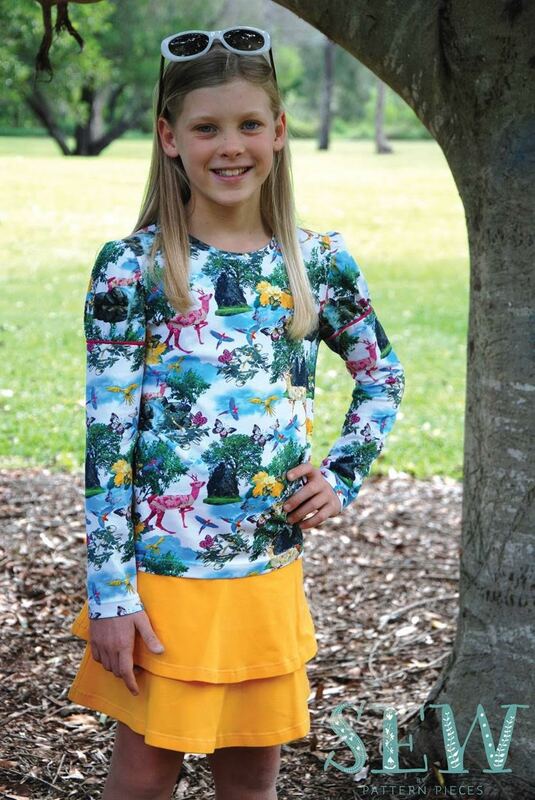 Check out these Swhetty Betties Designers to see the great pattern sales that will be going on later this week! Also, you can join our Facebook group for sales and pattern testing calls year round! It’s our biggest sale of the year! 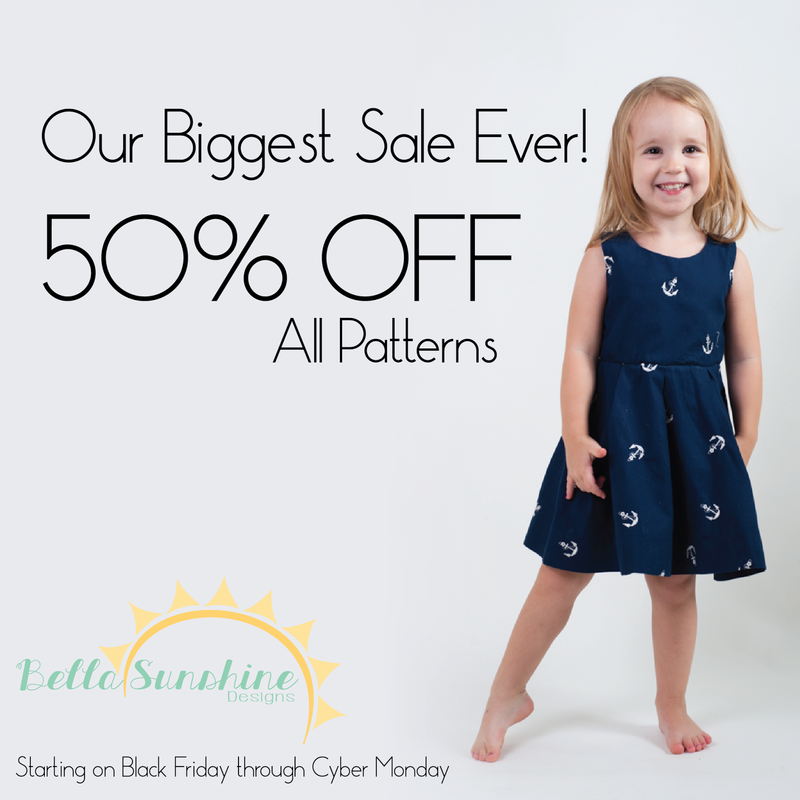 Get 50% off ALL patterns starting on Black Friday until Cyber Monday on our website at www.BellaSunshineDesigns.com (11/27 at 12:00am EST until 11/30 11.59pm EST). Join our Facebook group at www.fb.com/groups/BellaSunshinePDFLove for an additional special discount good on Black Friday only. Is it a puppet? Is it a purse? No - it's both! 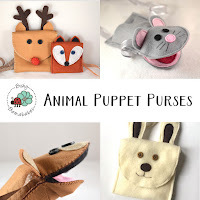 The Animal Puppet Purse from Bishy Barnababes comes in a variety sizes and animals and includes detailed instructions for both machine and hand sewing. So head over to the Bishy Barnababes Etsy shop and make a unique gift that children will adore! 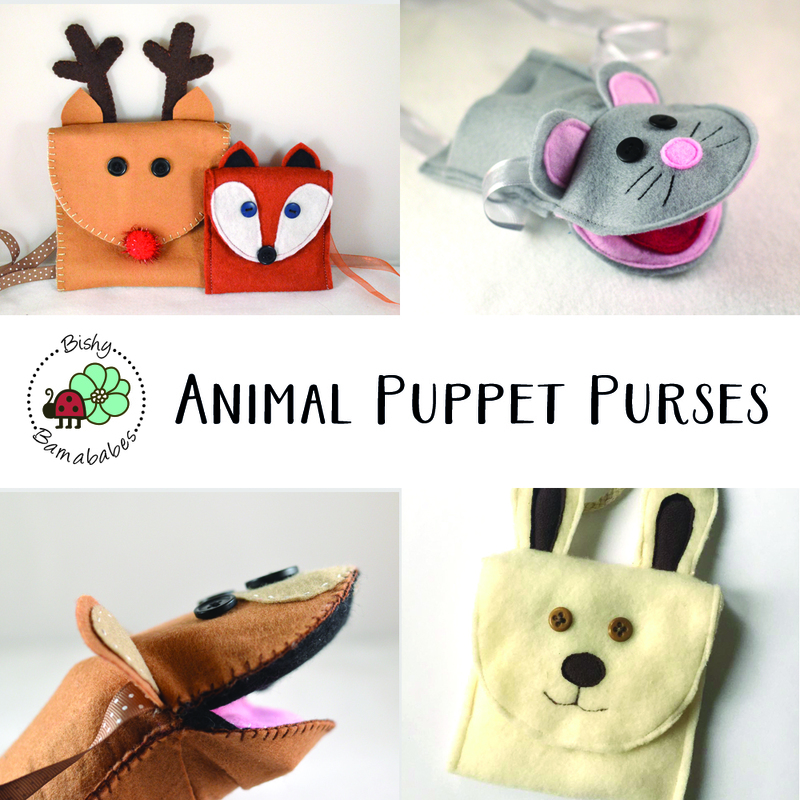 Use coupon code THANKFUL to get 30% off until Monday 30th November. 40% off of everything in the shops including bundles using code SALE40. It's the biggest sale of the year! 40% off on all patterns in the Designs by Call Ajaire Etsy shop with the code DbCABLACK from 12am friday the 27th through 11:59pm Monday the 30th of November. Black Friday Sale at FABulous Home Sewn Patterns. 25% off all patterns in my Etsy shop! Nov. 26 Midnight to Nov. 28 Midnight MST. No coupon code needed. Save 40% off all patterns from Nov 16-29 at www.graciousthreads.ca with the code ANEWLOOK. 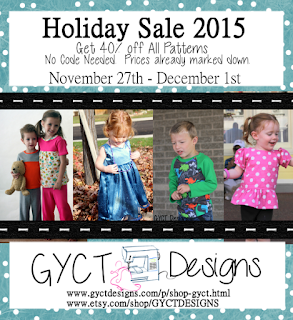 Huge Holiday Sale over at GYCT Designs. 40% off on all our PDF patterns. Prices marked down already, no coupon code needed!! Sale runs from 11/26-12/1. Don't forget to grab the Holly & Ivy Party Dress or the Tally Pleated Skirt for all those holiday parties! Sale on our website and Etsy. 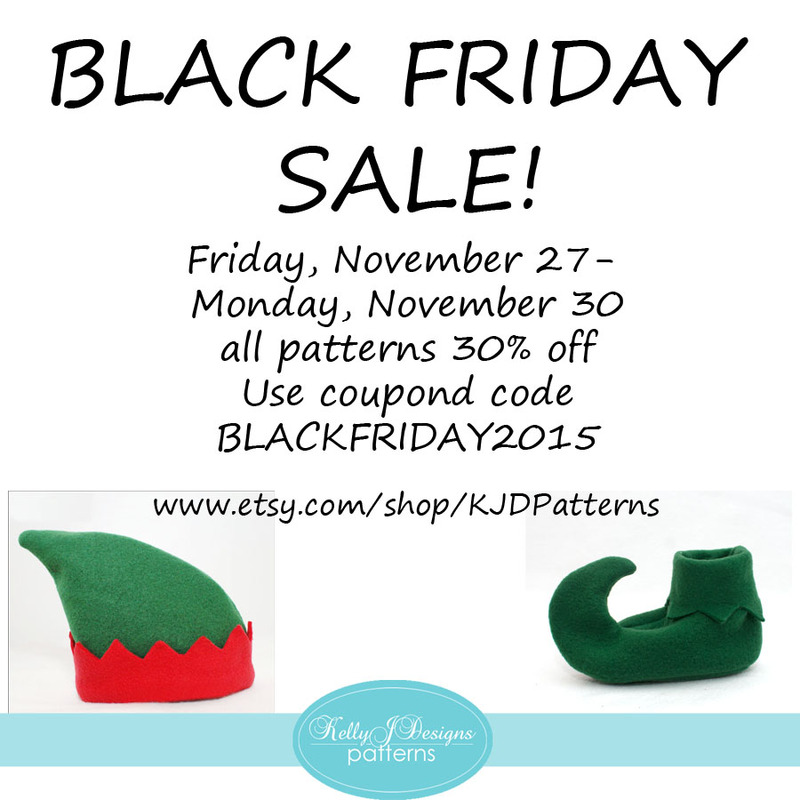 30% off all patterns with coupon code BLACKFRIDAY2015 in my Etsy shop! Get 40% off storewide with code GOBBLE10! Sale ends on November 30th at 11:59PM EST. Happy shopping! Happy Thanksgiving!! Mandy K Designs is having a huge 50% off sale!! Use coupon code BLACKFRIDAY2015 for 50% off all patterns from November 21st to Dec 1st!! 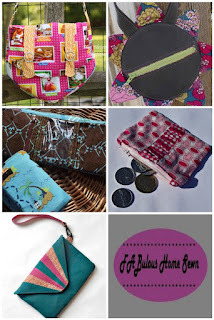 All patterns will be on sale at roseandleedesigns.com, Black Friday only, for $3 each. No code needed. ShannonMac Designs will be having a Black Friday thru Cyber Monday sale, everything will be ! 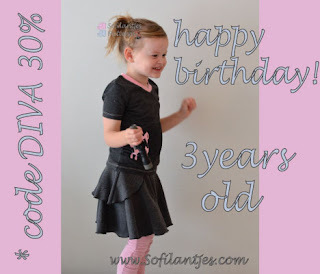 On November 28 my little Diva turns 3. To celebrate we will have a shop wide sale. Use code DIVA to get 30% off (bundles excluded). Sale runs from Nov. 24 to Nov. 29 CET. Enjoy shopping! Swoodson Says PDF Patterns - soft toys for imaginative, open-ended play. 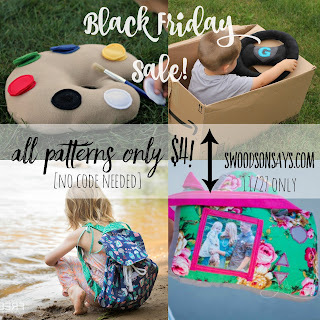 All patterns only $4, no coupon needed, 11/27 only.